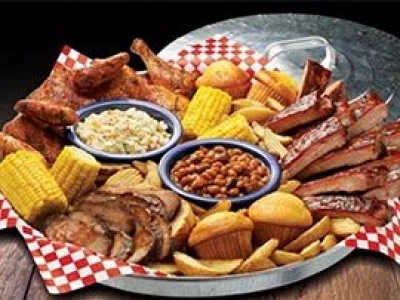 "Famous Dave's Bar-B-Que" in Branson; the name says it all...famous! "Devil's Pool Restaurant," located at one of the Branson area's most beautiful resorts, Big Cedar Lodge, combines casual dining with rustic elegance and southern, homestyle fare. 2845 W. 76 Country Blvd. "Fat Daddy's Family Bar-B-Que" in Forsyth, near Branson, cooks up tasty smoked meats with fall-off-the-bone, melt-in-your-mouth yumminess! "Fall Creek Steak & Catfish House" is Branson's home of the tossed rolls! "Danna's Bar-B-Que & Burger Shop" is the answer you'll likely get when you ask a Branson local where to find a good burger!